The Easter Bunny at the Jefferson Mall March 2nd | Louisville, Kentucky | Joe Hayden Real Estate Team - Your Real Estate Experts! 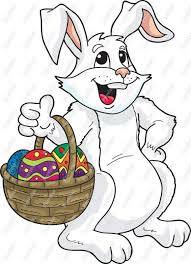 The Easter Bunny will be hopping in for pictures and free marshmellow PEEPS with any store purchase at The Children's Place located in the Jefferson Mall. Parents looking to take advantage of spring sales and to also get a memorable image of their children with the most famous rabbit around need only come out on Saturday, March 2nd from Noon to 4 p.m. The Jefferson Mall is located at 4801 Outer Loop in Louisville. Children love the Easter Bunny with his big floppy ears and his delightful colored eggs, and he only visits The Children's Place around this time each year. In honor of his visit, the shop will be marking down prices up to 75% on boys and girls clothing, from infant to size 14, and that in itself can be a gift for the parents. The Easter Bunny may be bouncing around The Childrens Place, but families can find plenty of entertainment at the Jefferson Mall. From their variety of boutiques, offering spring sales, to their food court filled with taste-tempting treats, there is something to catch the eye of any age. If the food court doesn't tempt your tummy, O'Charley's, Longhorn Steakhouse and Olive Garden are all accessible from the parking lot. Hop on down! To learn about other fun things to do in the area, please vist the website of the Joe Hayden Real Estate Team.